So I must admit I have got right back onto the skincare bandwagon with Elemis being my latest acquisition!. 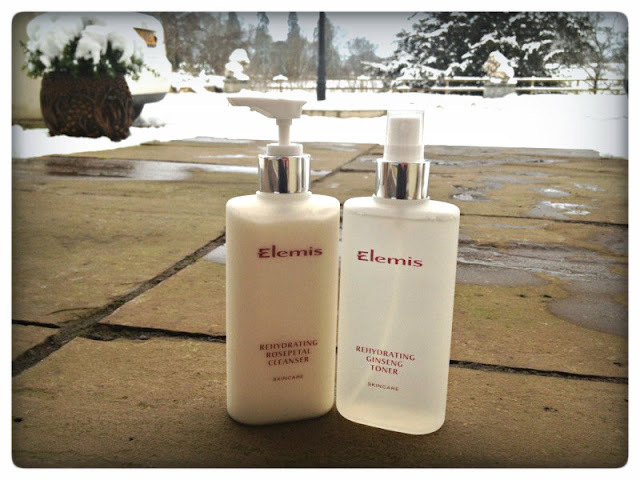 I have always admired Elemis as a brand as their products are used within the spa at my leisure resort "The Celtic Manor". I have recently been trying out the Elemis "Revitalize & Replenish Duo" which I have really been loving, so I wanted to share my thoughts and opinions on this cleansing duo. If you didn't already know Elemis is a leading UK luxury spa and skincare brand, which cleverly delivers high quality skincare with natural ingredients combined with cutting edge technology. I haven't had much fun photographing in these funny lighting conditions, so I decided to take the products outside. "The Re hydrating Rosepetal Cleanser"
The Rehydrating Rosepetal Cleanser effectively removes make-up and the daily build up of skin pollutants Unique is texture, and combining active extracts of lecithin, Vitamin E and F with Rosepetal flower water to hydrate and purify the skin, restoring a clean and radiant complexion. The first thing I noticed when initially using the Rosepetal cleanser was how delicate and smooth the scent was. The light scent of Rose was really pleasant and definitely made using the product very calming. The texture also being extremely smooth made putting the cleanser on a luxurious treat instead of just standard cleansing. After using this product for almost two weeks now I have been very surprised by its ability to be soothing but also giving me a really fresh faced feel. The main ingredients are also fabulous and deserve a mention. Lecithin, acts as a natural moisturizer/Cell growth ingredient as well as being able to penetrate skin cells to the exact level that is required. Vitamin E & F are also fantastic for the skin as they provide, antioxidants, restoration and nourishment directly to the skin. When Rose is included in a cream or lotion, it stimulates and protects the skin, while moisturizing and hydrating it. It gives a boost to all skin types which is another fantastic advantage of this cleanser. I was also extremely thrilled to see that Elemis do not test on animals and this information is printed on the outer packaging. The only negatives that I could possibly think for this product would be if you can't stand roses and also it's very moisturizing, which might not be suitable for oily skin. The Elemis Toner is a nourishing and revitalizing ginseng, quilaja wood and sweet betty flower extracts that removes the last traces of cleanser. This alcohol-free toner also rebalances the skin's pH level whilst preserving natural oils. Before even using this product I knew that Ginseng was a pretty amazing ingredient, so I had high expectations for this toner. I have enjoyed using this toner in combination with the Rosepetal cleanser as I find the smell really lovely and its also very soothing on the skin. This toner also rebalances the skin's pH levels without removing the skins vital oils, which many toners/cleansers can do. I haven't found it irritating in the slightest, but instead have found it very easy to incorporate into my skincare regime. However, I have read very few reviews saying that this toner stings slightly when being sprayed, but the best way to avoid this is by using cotton pads instead of the spray nozzle. The current price of these Elemis duos is £21.00 even though it should be £41.00, so you are technically getting a full size toner for three, plus there are three variations to choose from. I also think these would make a fabulous gift from a friend, girlfriend or loved one, as its fantastically priced for a luxury English brand. Overall, I have loved using the Elemis duo and haven't had any problems with using it on my skin. However, I would always do your research on skincare, as something that might work on my skin might not work on yours. 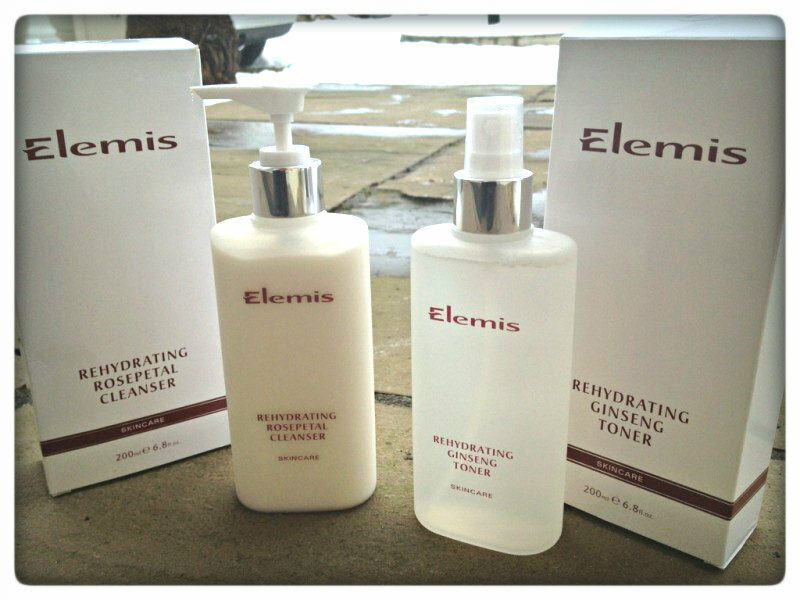 The Elemis duo I have reviewed is also suitable for skin needing re hydration or for older skin,but there are three options to choose from in this range which I will link below. I would love to know if you have tried Elemis ? - Or if you have any Elemis products on your wishlist! What do you think to their fresh face collection that is aimed at late teens to early twenties? My mum and grandma use the pro-radiance stuff and it has literally dropped years off their faces. No problem, I love the fresh face collection and have individual reviews coming up on my blog soon. Thanks for following me on twitter and showing your support to new bloggers.Your so sweet. I have dry skin so on my wish list for now. I wonder if they have anything for discoloration? Ohh, I'd love to try these!! Elemis is definitely on my wishlist, haven't been bold enough to try it yet but i may have to now!